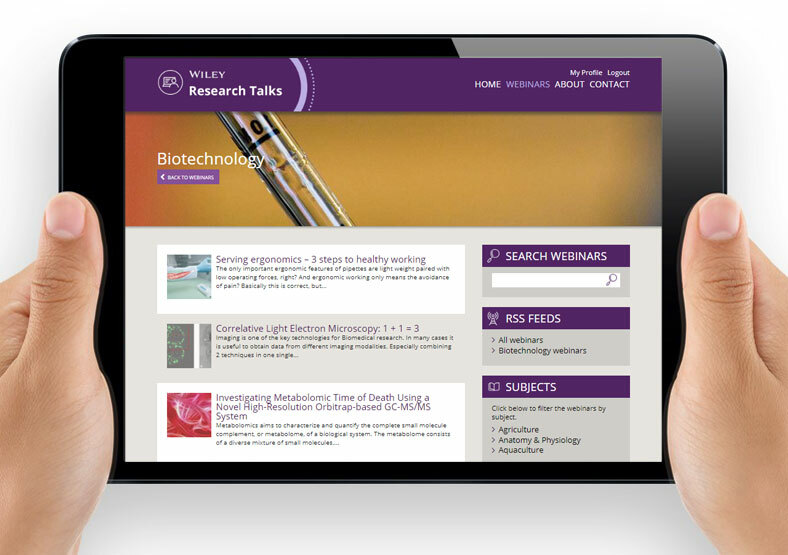 Wiley publishes scientific, technical, medical and scholarly books and journals. 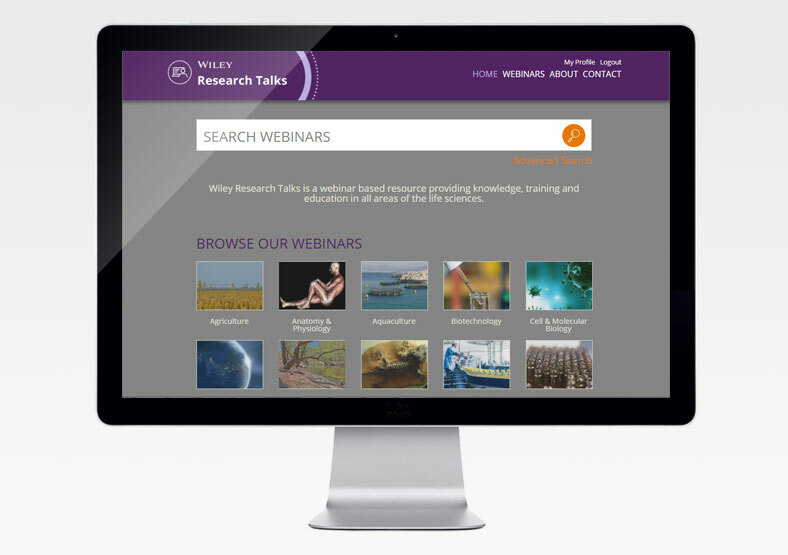 Wiley Research Talks is a webinar-based resource providing knowledge, training and education in all areas of the life sciences. Our brief was to create a website with a CMS (Content Management System), enabling Wiley staff to easily manage the website content themselves. Using Wiley's corporate guidelines as a basis for the design, we designed and developed a WordPress website with clear, intuitive navigation. We ensured it was optimised for mobile devices with a strong focus on tablet and smartphone presentation. The site was built according to good SEO practises, and includes an easy to use facility for Wiley staff to enter keywords and meta data as more content is added, thus increasing the site's rankings on Google. 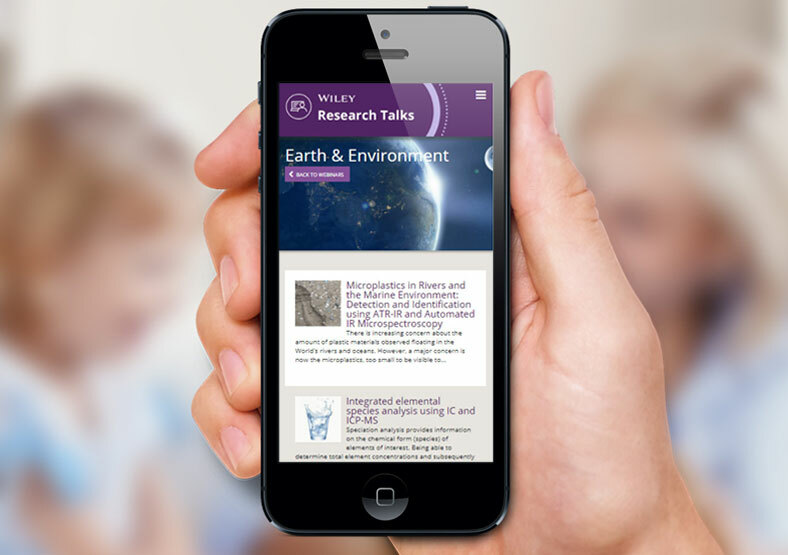 The Wiley Research Talks website is now being used as an effective way of promoting webinars to Wiley's global audience of scientists and academics.